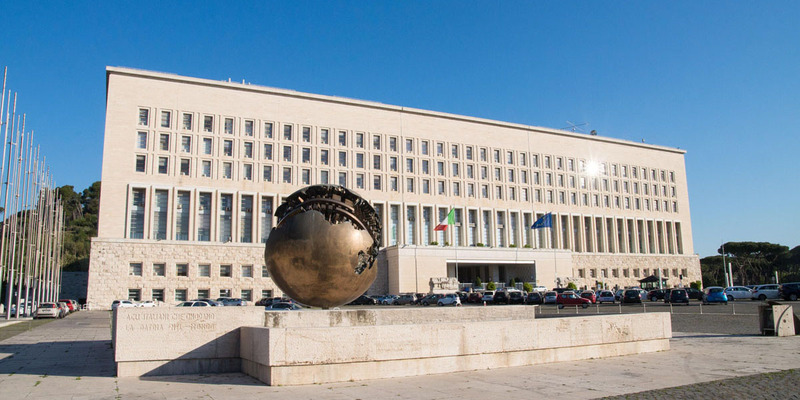 The second session of the G7 Global Partnership against the spread of weapons and materials of mass destruction took place on 16-17 November at the Farnesina Palace in Rome. More than 150 experts from a number of countries of different regions, as well as representatives from international organizations, attended the meeting under the Italian Presidency. The Global Partnership is a multilateral initiative launched in 2002 at the Kananaskis Summit in Canada to develop coordination mechanisms for international assistance projects in line with the goal of preventing terrorists from acquiring or developing nuclear, chemical, radiological and biological weapons, as well as related materials, equipment and technology. During the session in Rome, partners discussed new possible initiatives, particularly in the field of capacity-building and new dimensions of chemical, biological, radiological and nuclear (CBRN) risks, with a view to respond to emerging scientific and technological developments. In this context, the potential threats to cybersecurity of CBRN critical infrastructures were given particular consideration. The Italian Presidency dedicated a special focus to Africa, allowing an in-depth debate on how to strengthen the capacities of African countries in the implementation of their national action plans for CBRN risk mitigation. Special attention was devoted to the priorities in bio-risk prevention in the wake of the Ebola crisis (2014-16) and its dramatic humanitarian, social, economic and security consequences.